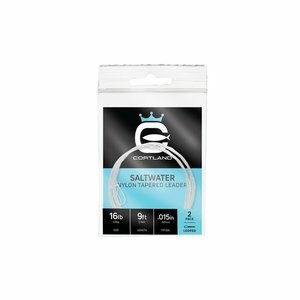 Cortland Saltwater Nylon Tapered Leader 2-Pack 12', Made from premium medium stiff nylon material. Ideal for windy conditions and positive leader turnover. Cortland Saltwater Nylon Tapered Leader 2-Pack 12', Made from premium medium stiff nylon material. Ideal for windy conditions and positive leader turnover. 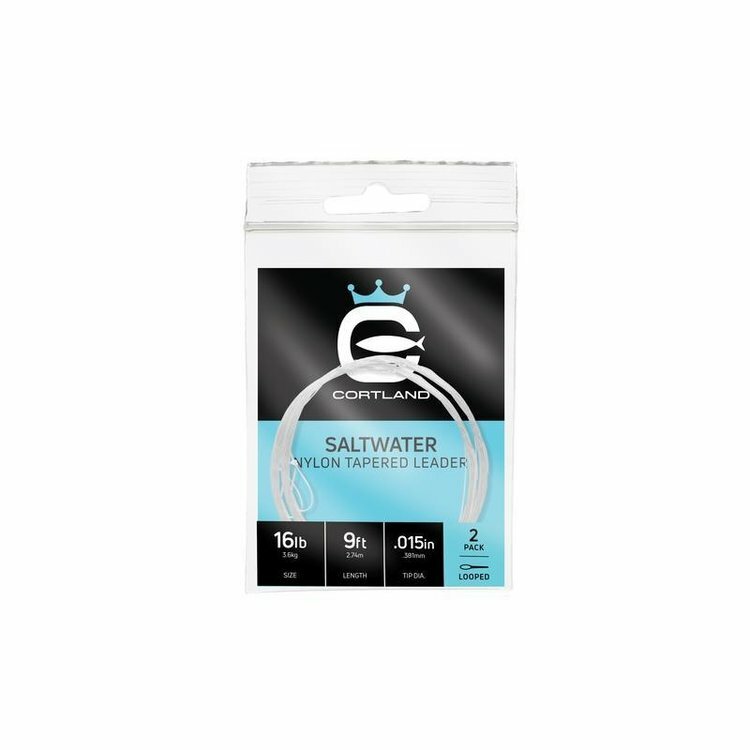 Built with a pre-tied perfection loop for easy rigging. 12' two packs. 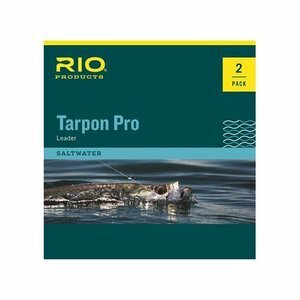 RIO Tarpon Pro Leader 2-Pack, takes all the guesswork out of your tarpon fishing. Designed from years of testing and countless feedback from the best Florida Keys guides, our leader is ready to fish out of the package. Cortland Nylon Tapered Leader 2-Pack 9', Nylon Tapered trout leaders are extruded from high-tenacity copolymers for an exceptional blend of abrasion resistance and knot strength. 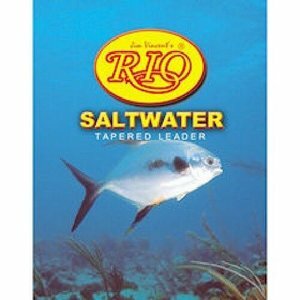 A great all around saltwater leader for many different species.